The Carter Law Firm, LLC offers exceptional legal counsel in cases involving personal injury, including auto accidents, wrongful death, premises liability and workers’ compensation, among others. Far too many Alabamians suffer auto-related injuries each and every day. If you or someone you love has recently been hurt in a car accident, call The Carter Law Firm, LLC immediately. Driving an 18-wheeler or other commercial vehicle is fraught with peril. From long hours to the simple practicality of operating a vehicle of that size, there’s no limit to what can go wrong. Losing a loved one is difficult enough without having to consider someone else’s culpability. Unfortunately, wrongful death suits are all-too-common in the state of Alabama. The Carter Law Firm, LLC has been a staple of the Fultondale and Gardendale communities for decades. We’re from here, we live here, and we understand your needs. There’s no need to travel to Birmingham — we make it possible for you to stay close to home and still receive experienced, high-quality legal representation. As a family operated legal team, we understand that family matters most. When you work with our attorneys, we treat you like family and look out for your best interests at every step of the way. At the end of the day, you want results. Our attorneys spend as much time as it takes to get the most out of each personal injury settlement. We maximize without compromise. The attorneys at The Carter Law Firm, LLC apply more than three decades of experience to each and every case, helping their clients obtain a favorable outcome in an affordable manner. Every Alabama employee is entitled to a safe working environment. If you’ve been injured on the job, you have the right to file a workers’ compensation claim, regardless of what your employer may have told you. Suffering an injury at the hands of a medical practitioner is devastating and complicated. As a patient, it’s hard to determine if malpractice has occurred, which is where we come in. Let us fight for you while you heal. It is the responsibility of every Alabama property owner to ensure that her or his premises is safe and structurally sound. If you’ve recently suffered an injury due to another’s negligence, contact us now to get started. You have the right to expect that the products you use — be they tools, toys or otherwise — are safe. If you’ve recently suffered an injury due to a faulty product, we may be able to help you seek compensation. 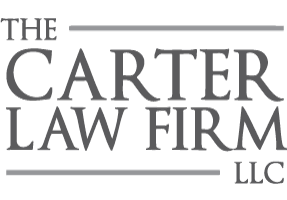 Conveniently located on Decatur Highway in Fultondale, Alabama, the skilled attorneys at The Carter Law Firm, LLC truly care about helping those who need it most.